Tommy Roe - Greatest Hits (2018) | Free eBooks Download - EBOOKEE! Tommy Roe's Greatest Hits on Evergreen label) collects songs from two very distinct eras in the bubblegum giant's career, one full of hits and classic songs, one not. The first six songs are from Roe's glory days in the 60's and feature some of his biggest hits like "Dizzy," "Sheila," "Everybody," "Sweet Pea," "Jam Up and Jelly Tight," and "Hurray for Hazel." These joyous bubble-pop tunes are joined by four songs from the mid-'70s when Roe found himself releasing bland country-influenced sides that did nothing on the charts. They are not bad songs, but they have no place on a greatest-hits collection. You can find the six real hits and more gems from Roe's prime on better collections. 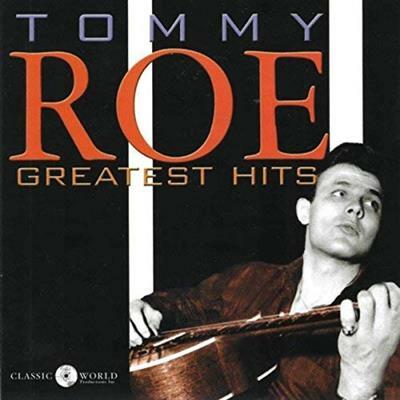 No comments for "Tommy Roe - Greatest Hits (2018)".